The Grimpen Mire – the treacherous marsh in the famous Sherlock Holmes mystery “The Hound of the Baskervilles” – was evoked by the Russian MFA’s spokesperson this week, as she dismissed the British parliament as a circus show in reacting to U.K. condemnation of the poisoning of Sergei Skripal. “The Grimpen Mire still holds its secrets”, she observed. The Mire is described as “a vast bog that creates awe, dread, and a feeling of primacy”, and as having “patches into which one may sink with no guide to point the track.” As such, it is in fact an apt description of this week’s disinformation landscape. Pro-Kremlin outlets went into overdrive in response to British Prime Minister Theresa May’s statement blaming Moscow for the poisoning and attempted murder of former Russian spy Skripal on British soil. Mr Skripal remains seriously ill in hospital along with his daughter and a British policeman called to the scene. What was striking was how the stories – some appearing on the same state-controlled news outlet but completely contradicting one another – peddled multiple, unsubstantiated and often absurd conspiracy theories. This is perhaps the most classic of pro-Kremlin disinformation techniques: to confuse the wider audience and at the same time to feed a loyal audience of disinformers ready to defend Russia with abundant lines to take. The resemblance is very clear to previous instances when Russia was identified as the perpetrator of a crime: for example the MH17-case and the bombing of the humanitarian convoy in Syria. In both instances, pro-Kremlin disinformation was quick to dismiss, distort, distract and dismay. It was no surprise, then, that “Russophobia” was one of the top explanations given by Russian state-controlled TV in the Skripal case. This is one of the most common of responses to any accusation levelled against Russia. Leading state TV channels in Russia told viewers that the former spy had in fact been poisoned by the United States in order to discredit Moscow and spread Russophobia; that the West was blaming Russia for the poisoning in order to justify sanctions and that the incident was a provocation by the West ahead of the Russian presidential election on Sunday. Sputnik joined in reinforcing the narrative of “anti-Russian propaganda”. Another popular disinformation theme resurfaced when state-controlled TV suggested that the UK had staged the attack on Skripal to spark a boycott of the upcoming soccer World Cup this summer in Russia. This is not the first time that sport is used for disinformation purposes. 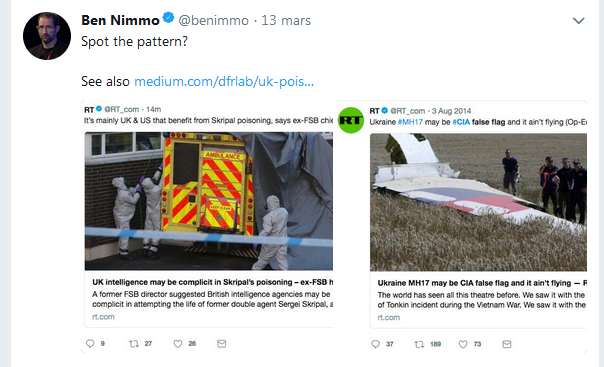 Tweet by @benimmo showing the similarities between RT:s reporting of the MH17 tragedy and the Skripal attack. Following a familiar tactic used after the downing of MH17, Russian state outlets were quick to pollute the information space with “alternative” explanations for the tragedy. Some claimed that Mr Skripal and his daughter had overdosed. Another explanation was that the exposure to the toxin was accidental and came from a British lab. In support, the same lab had its credibility quickly called into question by RT. It was notable also that, amid all the focus on Russia’s use of such internationally banned weapons, a disinformation story should also appear accusing the U.K. among others of the use of chemical weapons in Syria. But disinformation was not just aimed at confusing. It also sought to intimidate, threaten and scare – another common technique. The Russian Foreign Ministry spokesperson stated on Tuesday that Russia calls on Britain not to speak in the language of ultimatums with a nuclear power. This is not the first time representatives of the Kremlin have used similar language towards European countries. While other countries expressed solidarity with the UK Government, the Russian Foreign Ministry’s official Twitter feeds mocked the British government with the hashtag ‘HighlyLikelyRussia’, as catalogued by the DFRLab. It can be hard to find your way out once you are in the disinformation swamp. Don’t step into it. Behind the Smokescreen: Who are the Actors Spreading Disinformation on Ex-Spy Poisoning? Additional details: No maps were used to illustrate President Vladimir Putin's announcement Russia has a new invincible nuclear ballistic missile. There is no basis for saying that some U.S. states were actually used there. No maps were used; those are some absolutely arbitrary geographical outlines. Additional details: What happened to Mr Skripal: many people said that it would happen, that there will be a provocation [by the West] before the Russian elections, claiming that Russian secret services killed or poisoned somebody. British Prime Minister Theresa May said Monday a “military-grade nerve agent” known to have been developed by Russia was used to poison former Russian spy Sergei Skripal and that her government has concluded it is “highly likely” Moscow was responsible. “Either this was a direct act by the Russian state against our country or the Russian government lost control of this catastrophically damaging nerve agent and allowed it to get into the hands of others,” she said. Additional details: What we heard on March 1 [Putin's state of the nation address] is, perhaps, a scientific and technical version of the Munich speech [Putin's speech in Munich in 2007]. This is a technological Munich speech. And how should we name the missile [next-generation cruise missiles unveiled by Putin]? It can be called "The Peacemaker", for example. Because its purpose is to save peace. This is peace. Additional details: On a tactical level, our overseas opponents staked on the maximum drop in turnout and delegitimization of the results of the voting on March 18. They even set specific "planks": to recognize turnout only at the level of no more than 45 percent. Conspiracy theory, no evidence given. Neither the US nor the EU stated their wish to reduce or assess the turnout in Russia’s presidential elections to below 45 percent. Additional details: [During the presidential campaign in Russia, the US media like RFE/RL and Voice of America ...] is agitating. On Russia's sovereign territory and in the languages of the peoples of Russia. This is directed towards our people. They want to split us. They want to make us quarrel with each other. They want to involve us in a civil war. RFE/RL is registered with the IRS as a private, nonprofit Sec. 501(c)3 corporation, and is funded by a grant from the U.S. Congress through the Broadcasting Board of Governors as a private grantee. RFE/RL's editorial independence is protected by U.S. law. Additional details: As long as Europe is united, it will never be good to Russia. When Europe is being united, it feels super-strong and tries to capture everyone around including Russia. It happened like that, when Europe was under Napoleon and Hitler, and it is happening like that now. Additional details: For 25 years, Russia has supported - artificially supported - the independence of the so-called Ukraine with the help of cheap gas and other resources. Additional details: We [Russia] want to trade directly with consumers of our gas in Europe, with Germany and so on, without intermediaries. Therefore, we want to exclude these intermediaries. Therefore, either Ukraine will be part of Russia or the pipes will go around Ukraine. IWe should not talk about Ukraine as a different country. We must talk about the reunification of the Russian people. We are a single people. And it is necessary telling our Western partners not about fascists here but a noble idea. We must say: guys, we have a single Russian people that is the largest disunited people in the world. Ukraine is a sovereign country, whose independence has been recognized by the UN. Moreover, the Russians and the Ukrainians have been different peoples throughout the history and until today. Ukraine is recognised in international law as a sovereign nation state, with its own flag, nationality, language etc. Additional details: These provocations [like linking Sergei Skripal's death to Russia] are for internal use. They [the West, first of all the UK] should explain to their citizens, why sanctions are being imposed, why the Russians are presented as fools and why this whole bacchanalia continues in all the media. Additional details: The real similarity between the case of Sergei Skripal and Alexander Litvinenko is the cynical way that the British authorities are exploiting it for anti-Russian propaganda. It seems highly significant that Russia's presidential elections are due to take place later this month. What better way to smear the expected electoral victory of incumbent president Vladimir Putin than to accuse the Kremlin of carrying out an assassination plot on British soil against a former Russian spy? Alexander Litvinenko, was poisoned with radioactive polonium 210 in 2006. An inquiry into the murder, led by High Court judge Sir Robert Owen, found, in 2016, that Litvinenko was murdered by a former Russian agent, Andrey Lugovoi, with the “strong probability” that the murder was ordered by Russian intelligence. Additional details: Porton Down, where the Brits were experimenting with the same types of nerve agents, is located next door to where Skripal and his daughter were found. The toxin was identified as a nerve agent at Porton Down, which is Britain's military research base. They have not done tests with nerve agents since 1989, but are still able to identify these toxins, in order to protect British civilians and troops from attacks http://www.bbc.com/news/av/uk-43335148/porton-down-britain-s-secret-research-facility. The nerve agent has been identified as Novichok (which means newcomer in Russian). It is known to be more powerful than VX and was developed in the Soviet Union in the 1970s and 1980s https://www.voanews.com/a/british-prime-minister-russia-poisoning-spy/4294683.html. It's so unusual, that very few scientists outside of Russia have any real experience in dealing with it and no country outside of Russia is known to have developed the substance https://edition.cnn.com/2018/03/13/europe/what-is-novichok-nerve-agent-intl/index.html, https://theconversation.com/what-we-know-about-novichok-the-newby-nerve-agents-linked-to-russia-93264. Further debunking by Julia Davis https://twitter.com/JuliaDavisNews/status/971924556423356416. Additional details: Alcoholism & drug addiction, stress, severe nervous breakdown & depression are the inevitable occupational diseases of the traitor. And as a result— heart attacks, strokes, traffic accidents—and, finally, suicide. Conspiracy theory, no evidence given that diseases mentioned are relevant for the case discussed. Additional details: Porton Down is mired in controversy, among other things growing cannabis and harbouring aliens. Porton Down, which is Britain's military research base, have not done tests with nerve agents since 1989, but are still able to identify these toxins in order to protect British civilians and troops from attacks http://www.bbc.com/news/av/uk-43335148/porton-down-britain-s-secret-research-facility. The lab is an Organisation for the Prohibition of Chemical Weapons (OPCW) designated laboratory run by the Defence Science and Technology Laboratory, Chemical and Biological Systems. https://theconversation.com/what-we-know-about-novichok-the-newby-nerve-agents-linked-to-russia-93264. For information about the lab, and debunks for other conspiracy theories about it, see information from the UK Government https://www.gov.uk/government/news/the-truth-about-porton-down. Additional details: Skripal and his daughter may have overdosed on Fentanyl. Additional details: Slow deaths are good for news stories. Just as Litvinenko was being slowly poisoned with weak poison, this comrade [Skripal] is being slowly poisoned with weak poison to prolong Western news coverage. No evidence given. 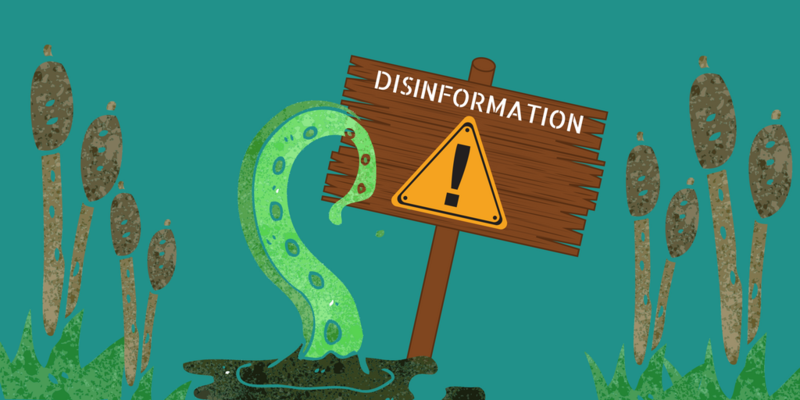 Russophobia is often used in pro-Kremlin disinformation as an explanation for anyone blaming Russia for anything https://euvsdisinfo.eu/the-russophobia-myth-appealing-to-the-lowest-feelings/. Additional details: Americans poisoned these people in order to destabilize the world, inflame the wave of Russophobia and force the UK to isolate Russia. Conspiracy theory, no evidence given. 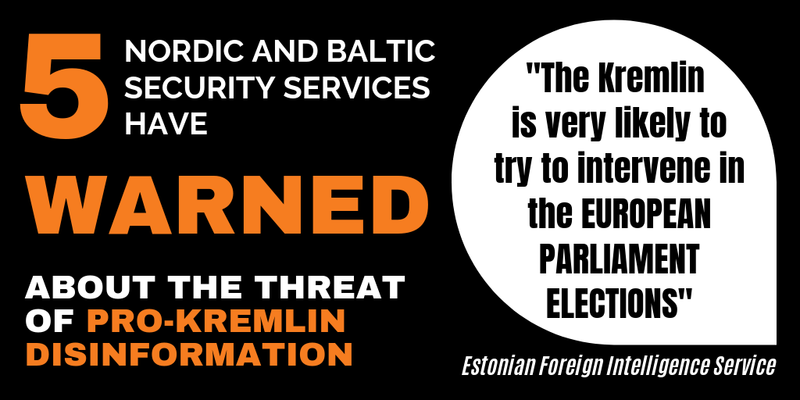 Russophobia is often used in pro-Kremlin disinformation as an explanation for anyone blaming Russia for anything https://euvsdisinfo.eu/the-russophobia-myth-appealing-to-the-lowest-feelings/. Additional details: The UK staged the attack on Skripal to “feed their Russophobia” and stage a boycott of the soccer world cup, to be held in Russia this summer. No evidence given. 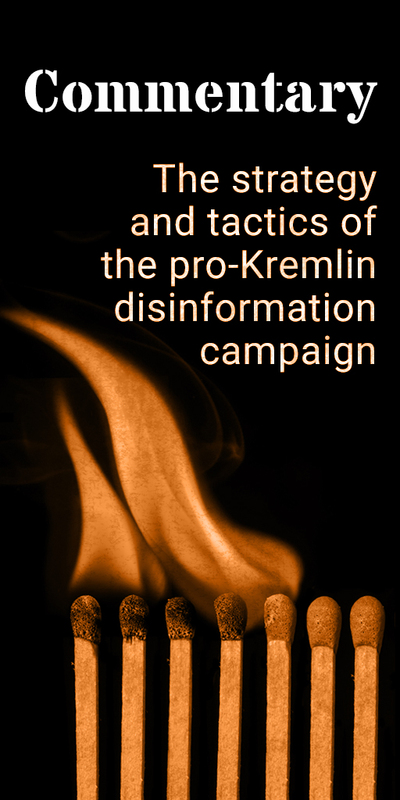 Russophobia is often used in pro-Kremlin disinformation as an explanation for anyone blaming Russia for anything https://euvsdisinfo.eu/the-russophobia-myth-appealing-to-the-lowest-feelings/, and it is not the first time pro-Kremlin disinformation weaponises sport https://euvsdisinfo.eu/weaponising-the-olympics/. Additional details: The Syrian government has always refused allegations that it used chemical weapons, while now there is proof that the American and British governments ordered terrorists in Eastern Ghouta to use chemical weapons and then accuse the Syrian government of committing those acts. The orders were given to the jihadists of Tahrir al-Sam, Fajlak al-Rahman and Ahrar al-Sam. No evidence supporting the claims. In November 2017, a UN Security Council-mandated investigation concluded that both ISIL and the Syrian government had been responsible for chemical attacks in Syria https://news.un.org/en/story/2017/11/570192-both-isil-and-syrian-government-responsible-use-chemical-weapons-un-security.